Yesterday we looked at how setting can be an anchor, a place we return to time and again. Setting also gives your character opportunity for escape, or the fantasy of it. We can learn more about them by knowing what they want to escape from, or where they want to escape to. Setting can help us deepen or establish character by revealing how your protagonist fits in or clashes with the place he inhabits. And through the careful selection of details on which to focus, setting can help the writer convey emotion without relying on the description of a feeling. 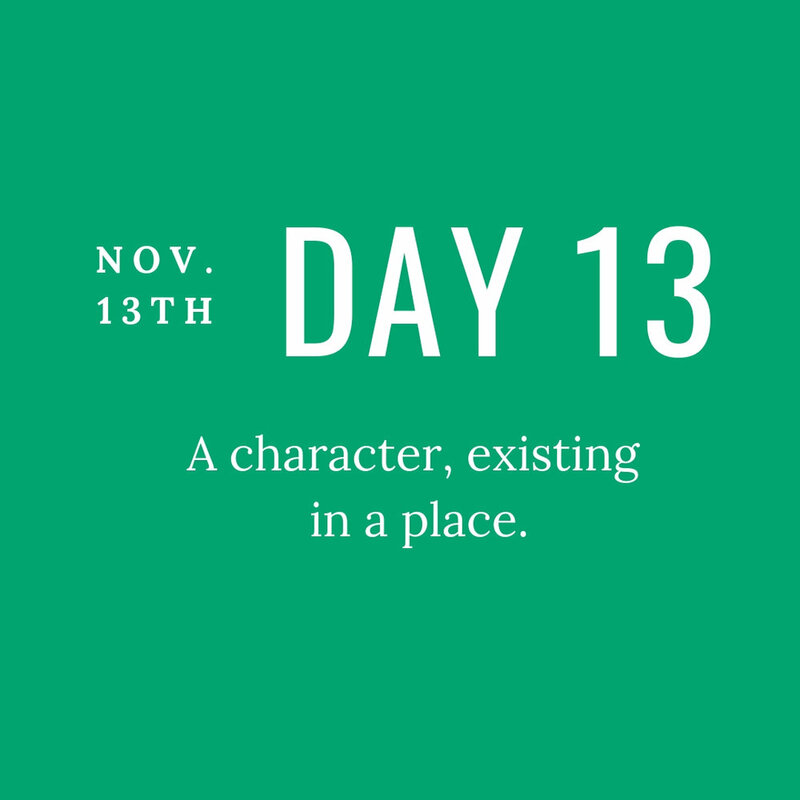 So, now that you have identified and visualized the primary setting of your novel, it’s time to write a scene where your main character is existing in that place. I want you to consider all of the many possibilities setting offers you. Will your character be in harmony or disharmony with her surroundings? Will the way he interacts with his setting reveal something important about him? If others enter this place, how will they occupy it in their own distinct ways? How will her perception of it shift when she is no longer alone?